Both the 2015 and 2016 vintages are excellent wines. The 2015 vintage was a classic great vintage and well worth the time to obtain some great French wines to lay down for a few years. The 2016 futures will come along in the next year. The growing season was very unusual with lots of rain in the spring, drought in the summer, and just enough rain in the fall to create a great vintage. The 2016 vintage was different from 2015 and will evolve and taste differently. The 2016 vintage is definitely worth investing in a few cases to lie down. As a general rule the most expensive of the wines will need to sit for 10 years or more years. Those selling at a more common price point under $50 per bottle will need four / five years of aging. My email inbox receives various future offers from large retailers and there are some really good wines for short dollars. We drank the 2000s we bought well into 2013 and they were great since we paid under $20 per bottle. We are now enjoying some wonderful 2003 St. Emillions. They are a real treat. A published study by Virginia Tech Carilion School of Medicine found evidence that resvertrol, an antioxidant found in grape skins, can protect neural connections in the brain and muscles fibers from the adverse effects of aging. But alas in the controlled study the test animals received substantial more resvertrol that one gets from a glass of wine. So when you honey gives you a look when you pour that second glass of wine just tell them it will help “my” brain function better longer. Good luck with that one! The wines coming out of Spain have been so so since the 2010 vintage. That is going to change with the 2015 and 2016 vintages. Note how it follows the French vintages. Spanish vintners tend to hold their wines till they are ready to drink so you will see older wines vs fresh young wines. At the price point this blog targets avoiding Spanish wines from 2011 to 2014 makes sense to me. The stores are now carrying 2015 whites and a few reds. Most of the 2016s on the store shelves are white. You will find a number of great offerings if you click “read more”. This list requires production to exceed 10,000 cases and be price effective. You will find other good values in stores – ask those you trust, trust being the operative word. This racy white features tart acidity underlying a firm texture, with modest flavors of pear and fresh herb. Reserved but focused, balanced and fresh. Drink now. 41,600 cases made. This rich white delivers melon, pear, salted almond and smoky flavors, with vibrant grapefruit acidity imparting focus. Shows unusual power and depth, backed by a minerally spine. Drink now through 2020. 10,000 cases made. Fresh and focused, this tangy, juicy white offers tart peach, gooseberry and fresh herb flavors, enlivened by crisp acidity. Peach and floral notes linger. Drink now through 2018. 30,000 cases made. This white is more about structure than fruit. A firm texture carries savory notes of ginger, almond and tea, framing apple skin and quinine flavors. Finishes with a refreshing touch of bitterness. Drink now through 2019. 25,000 cases made. Racy acidity fuels this lively white, driving the pear, basil, grapefruit and flinty flavors across the palate. Harmonious, with a core of minerality. A good match with food. Drink now through 2018. 12,500 cases made. Pear, apple skin and marzipan flavors mingle in this ripe white, while ginger and quinine notes add a savory element. Rich and focused. Drink now through 2019. 40,000 cases made. Round and polished, this generous white delivers peach, apricot, passion fruit and blanched almond flavors, with herb and mineral accents. Lively acidity keeps this balanced. Drink now through 2019. 80,000 cases made. This fresh red offers bright cherry, watermelon and vanilla flavors in a round, juicy texture. Supple, with enough acidity to stay lively. Grenache and Tempranillo. Drink now through 2018. 30,000 cases made. This fruity white offers peach and tangerine flavors, with juicy acidity that keeps the round texture lively and fresh. Drink now. 40,000 cases imported. Firm and crisp, this white shows peach, grapefruit, herb and ginger flavors that mingle over fresh acidity. Focused, with good drive. Drink now through 2019. 30,000 cases made. Firm and focused, this white shows a savory character, with flinty, herbaceous and smoky notes framing a core of pear and blanched almond. Lively and refreshing. Drink now. 50,000 cases made. This red delivers bright flavors of blackberry, blood orange, toasty vanilla and cardamom, with floral and wild herb accents. Features lively, citrusy acidity and enough tannins for grip. Drink now through 2023. 10,000 cases made. This fresh red offers herb-scented cherry and blood orange flavors, with hints of smoke and mineral. Lively acidity and gentle tannins give this focus through the coffee-touched finish. Drink now through 2020. 10,000 cases made. Cherry and watermelon flavors are bright and juicy in this expressive rosé. Features a silky, almost lush texture, braced by firm acidity, with spice and orange peel notes. Drink now. 40,000 cases made. This dry rosé is deep in color and rich in flavor, with cherry and watermelon fruit deepened by herbal and spice notes. Fresh acidity keeps this lively. In the traditional style. Drink now. 27,300 cases made. Armand earned his bachelors in Accounting and Finance at Bentley University, MBA from Suffolk University, and his Masters in Taxation from Bentley University. Armand's career started with PriceCoopers and he is the Founder and Managing Director of Capital Restoration LLC. He is well regarded in working with companies in transition bringing about positive change. Capital Restoration LLC is an award winning corporate renewal and turnaround firm which provides interim crises management (CRO / CEO / COO / CFO), corporate restructuring, earnings validation and forensic services representing banks, credit committees, courts and private and public companies. 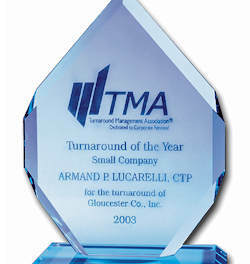 Armand is a go to expert, known for providing strategic financial expertise, to companies in transition.